Black Cat Music for music education and performance equipment. 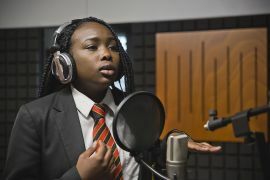 Barking Abbey will be the envy of many a school with the latest project that has transformed its music department with state-of-the-art facilities. 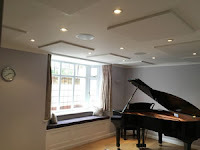 In pursuit of their musical mission, Barking Abbey School turned to Black Cat Music & Acoustics, who installed three AcoustiCabins practice pods and a recording studio as the main features of a brand new music suite, last month. 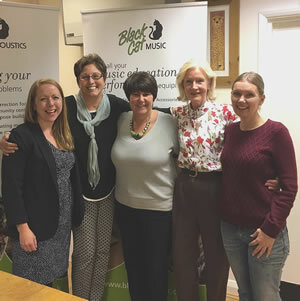 Alice Dagger, Managing Director of Black Cat Music & Acoustics responded: “We're thrilled that the school is already making such good use of their recording studios and practice pods. 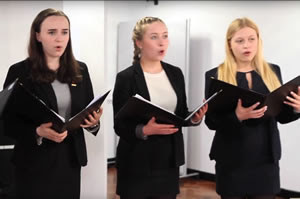 It's great to see the AcoustiCabins making a real difference to the music department and to the students' grades." 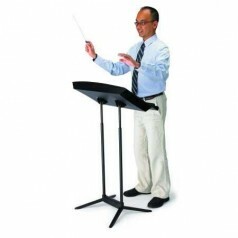 August is a great time to buy Wenger Preface Conductor’s music stands as for this month only they are offered at a 10% discount compared to the usual price. Already affordably priced thanks to elegant design and clever engineering, the Preface Conductor’s stand still benefits from plenty of useful features. This stylish conductor's stand enjoys a large desk, a sleek, non-scratch black surface, and dual posts offering superb stability and strength. 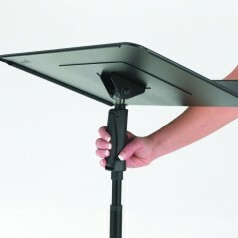 Although robust it's also extremely lightweight and easy to use and store. The tilting desk permits easy angle adjustment while integrated storage keeps all the conductor's needs nearby and out of sight. In fact, it's been exquisitely fine-tuned to give conductors more stand for less money. Plus each stand comes with a 5-year warranty.